We are the largest consumer of locally grown produce in Connecticut. We are proud to list the following Connecticut and New England food producers. Red’s Best® is a reputable mark distinguishing delicate care for seafood. 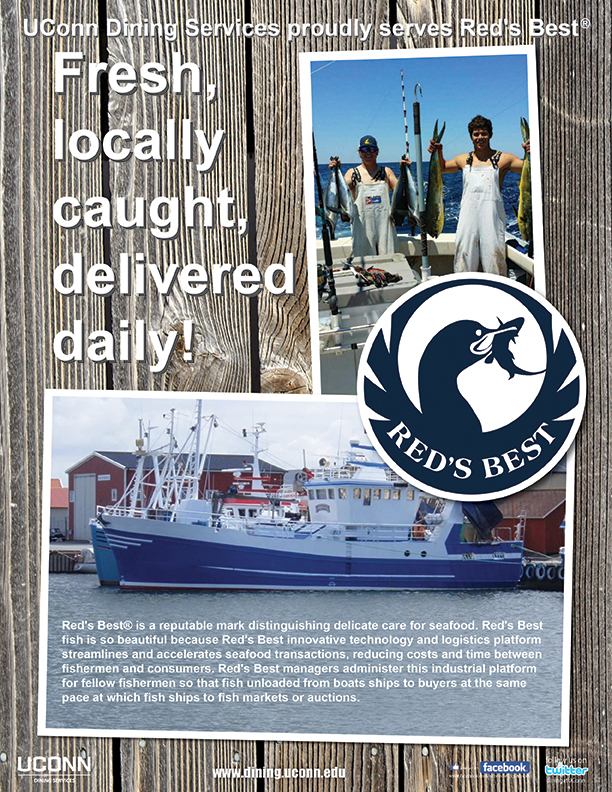 Red’s Best fish is so beautiful because Red’s Best innovative technology and logistics platform streamlines and accelerates seafood transactions, reducing costs and time between fishermen and consumers. Red’s Best managers administer this industrial platform for fellow fishermen so that fish unloaded from boats ships to buyers at the same pace at which fish ships to fish markets or auctions.